Any lead pipe could have a weak area just waiting to break and a sudden rise in water pressure can cause this. This can be a serious issue and must be dealt with in a professional manner as further lead piping should not be added. Copper is the most widely used of piping in the plumbing and heating industry. However, even copper can be prone to accidents, general wear and tear, corrosion by the unbalanced flow of water and water chemistry. In older houses prolonged use of piping can cause rust and leaks. Additional costs, flooding, wet carpets, bubbles in walls and mould are all signs of a broken copper pipe. 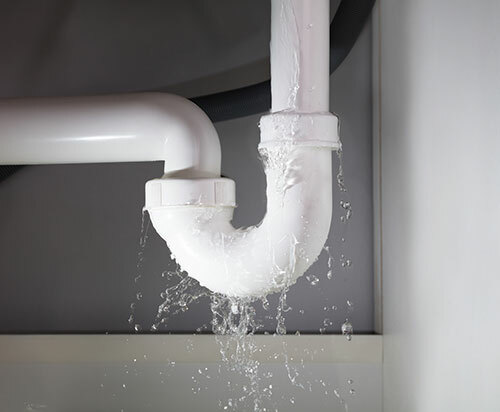 Plastic pipes under sinks and baths can leak due to changes in water temperatures and pressure causing loose connections and/or compression nuts. Very cold and freezing weather can also cause pipes to freeze and break. These can be relatively easy problems to fix so please call us. When sinks drain much slower than normal, it is often a clog in the system created by grease, hair and children’s toys. These are common and are often noticed when sinks drain much slower than normal. For quick repairs and a quick response please call D.Birtles on 07957 138389.